WHY CHOOSE KEVIN O'DONOVAN AS A NON EXECUTIVE DIRECTOR (N.E.D), CHAIRMAN, OR INTERIM CEO IN LIFE SCIENCES OR DIAGNOSTICS? 1. A recognised expert in this field with an emphasis on small companies. I have been on the Board of 12 Life Science Companies, Private and Public, Research and Diagnostic either as Chairman, CEO, or a Non- Executive Director. I specialise in Small Companies or Start Ups in the £0 to £10 million turnover range that have limited financial and human resources and my advice and contacts are very much angled towards making a practical difference and achieving business goals. Having a former Director of a large Company on the Board of a small one is pointless as they do not have the experience or contacts to make a practical difference. Generally the Companies that I have invested in or advised as a NED do well under my guidance as my C.V. and references indicate. 2. Wide range of experience. I come from a sales and marketing background, but the company that I created and ran was a complete business with R and D, Production, Quality, Administration, UK and Export sales, and Marketing. I therefore have the Board skills and experience to critically assess these functions and make practical suggestions to improve them. 3. 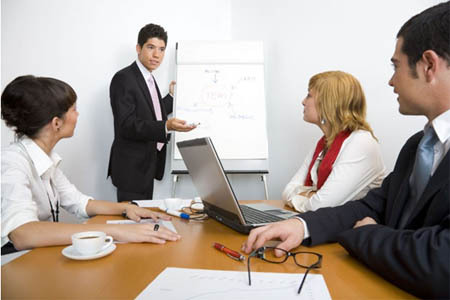 Expert in representing and explaining sales and marketing to boards lacking this experience. Having been a salesman, sales manager and marketing manager before moving into general management, I understand the needs and issues that underlie achieving a sales plan and can explain them to non specialists on a Board. I can also "cut through the waffle" to tell whether a sales manager or director is doing their job properly. 4. Financial "interpreter" on a non specialist board. I have had financial training through my MBA and have been examining company accounts for more than 20 years. I can quickly absorb, summarise and explain the implications of accounts in a business language rather than a financial one. Being an investor myself and having had direct experience of failing Companies, I understand the need to ensure that a business is run honestly and to ensure that the interests of employees, creditors and shareholders are at the forefront of the way a Company is directed by its Board. I have absolutely no problem in confronting any situation where I believe that a business is being run dishonestly or insolvently. As such I truly can be an independent NED or Chairman to represent investors. 6. Very wide range of product expertise. I have sold, managed and directed my way across a very wide spectrum of products covering Life Science research, Diagnostics and even Biological Therapeutics. Consequently I feel comfortable with all existing and new Life Science technologies. 7. Capable of acting alone without guidance. I have been a Director of Businesses since 1986 and have what is needed to act as a NED, Chairman, or interim Executive Director. I have created successes and failures, seen mistakes made and learnt from them. I can achieve what is required of me without guidance. 8. Huge experience in project based activities. I have created and run my own very successful Molecular Biology Business and subsequently been heavily involved with a further 11 Companies, including launching and then selling 3 further Companies. I therefore have the skills and experience to undertake a very wide range of project based activities whilst as a Director or independently. This includes recruiting Executive Directors. See the page on Consultancy activities for more details. 9. Interim Executive Chairman, CEO or Sales and Marketing Director, Life Sciences and Diagnostics. Having been a Director of Life Science and Diagnostic Companies for many years with a high level of success, I can carry out an interim role with a particular emphasis if required. For example during start up, or when a Business needs to be sold or downsized, when the culture of a Business and its Board needs to be changed as it grows, or simply to act as a temporary substitute whilst a New Executive is recruited. Inexperienced CEOs or Sales and marketing Directors can benefit from the skills and experience of someone who has performed these roles before. I offer a mentoring scheme for Directors and Boards to advise and train Executives to achieve their full potential. In addition to my C.V. , I can provide a number of references that testify to my skills, experience and ability to get the job done. I have extensive experience of selling and buying businesses. These are skills that will help to maximise the sales price and minimise the cost and anxiety associated with the sale. See the page on "Selling your Business" for more details. Contact AcumenPro to see how we can help you.